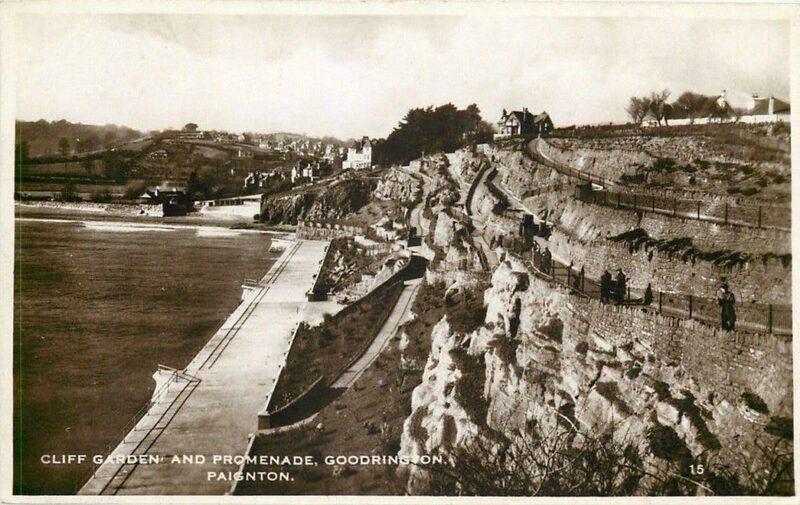 A nice casual stroll from the Roundham headland down to the beautiful Goodrington Beach. 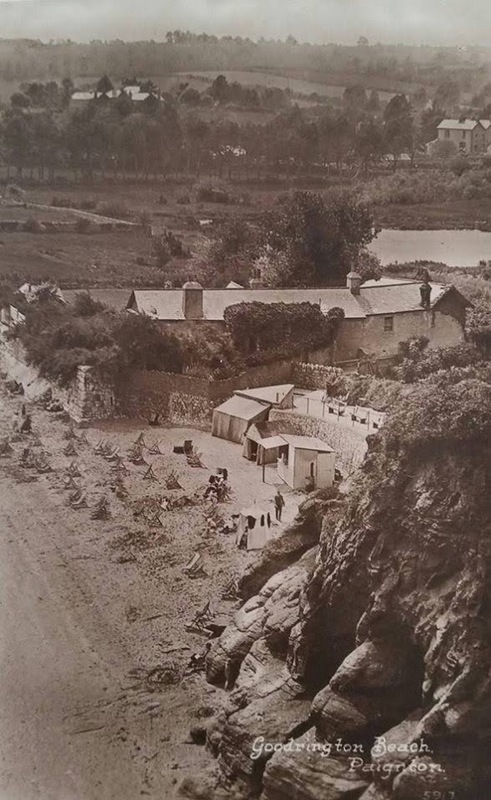 The promenade curves around the cliff and in the summer you’ll find it decorated with colourful beach huts. 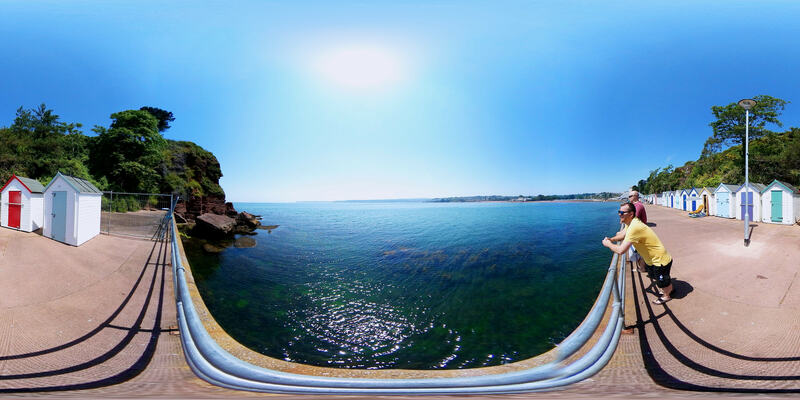 This stretch of the South Devon Coastal Path is very popular amongst locals, many like to sit and enjoy the sun here, go fishing and in the summer youngsters can be seen jumping off the steps enjoying themselves. Fisherman who frequently fish catch all types, from mackerel, whiting, bass, dogfish and garfish. The promenade stretches for about 230m from the beach. There are railings running the full length of the promenade and it’s fully accessible for wheelchair users. 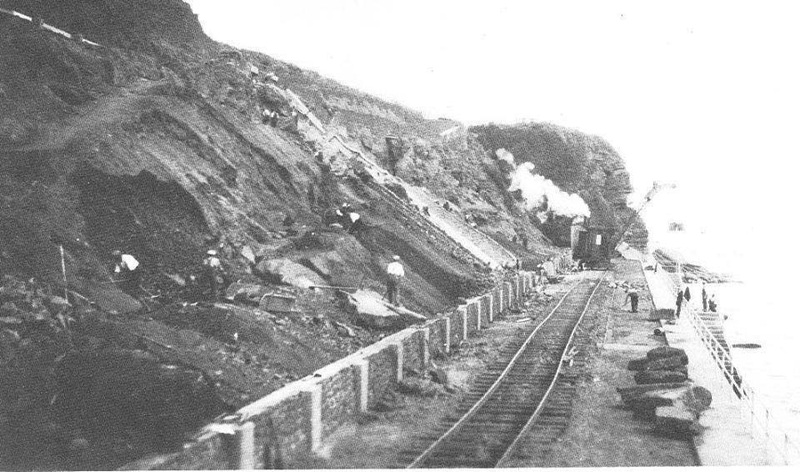 The construction of the Cliff walk commenced in 1929. 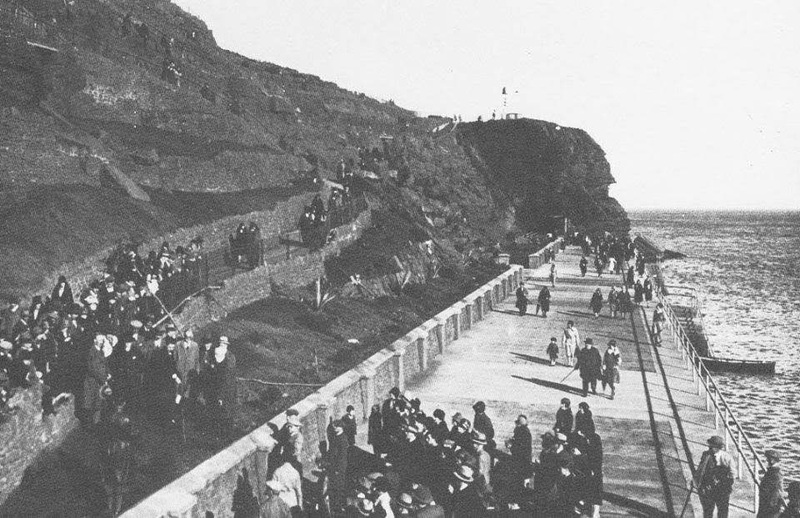 The lower promenade was built first, then the ascending paths were added. 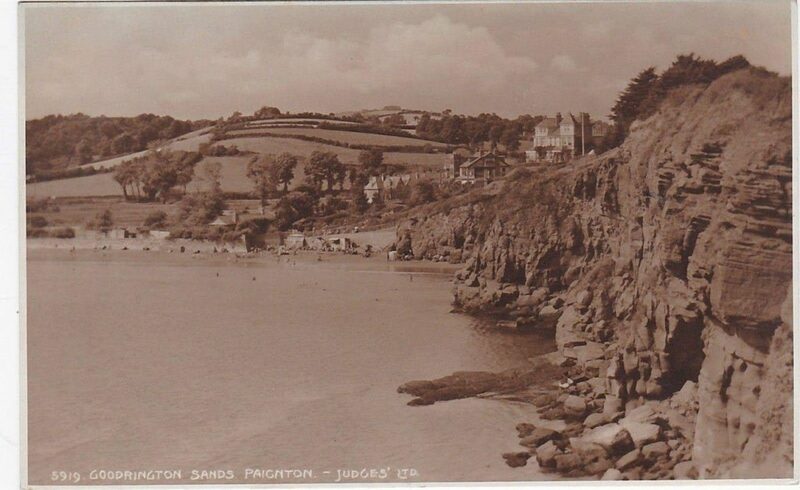 The zigzag paths which weave back and forth across the headland looked dull and somewhat bare, so Herbert Whitley of Paignton Zoo donated many plants, shrubs and trees to create some lovely surroundings. Easy walk and wheelchair friendly. Dogs on the promenade must be kept on a lead at all times. Have you walked this coastal path? Do you have a favourite?